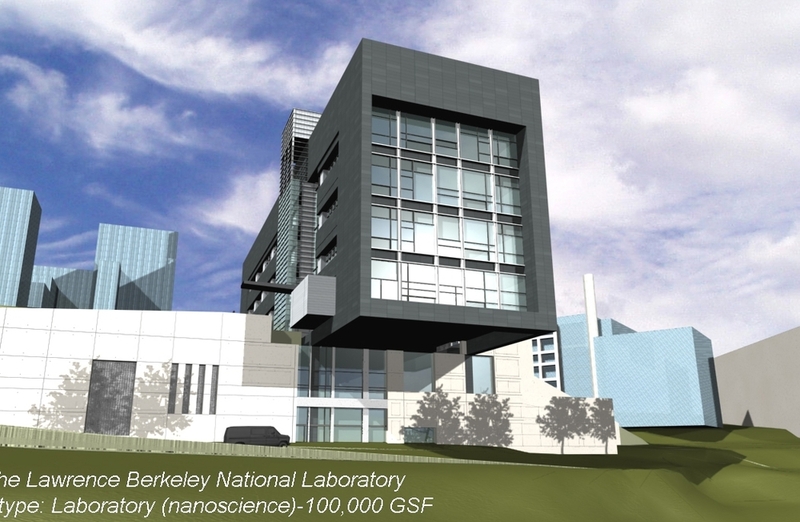 Nanotechnology Research Building for LBNL includes a 5,000 sq.ft. Class 1000 Clean room and a 1,100 sq.ft. Class 100 clean room. The clean rooms are served by UEPA fan filter units with brushless DC motor for superior energy efficiency. The building achieved LEED Gold certified. An independent central plant was constructed adjacent to the building to house all major mechanical and electrical equipment, including high efficient chillers, condensing boilers, pumping systems, domestic/industrial hot water generation plant, high pressure compressor air system, vacuum system, fuel oil system, emergency generator plant, electrical switchgear, and a purified water system. Extensive energy modeling effort was conducted for plant and equipment selection optimization. The Molecular Foundry incorporates Labs21 principles in its design and construction. The design includes many of the strategies researched at LBNL for energy efficient cleanroom and laboratories. The result is an energy efficient high performing sustainable laboratory. The building achieved LEED Gold Certification.